In recent years John Bellamy Foster has emerged as a leading theorist of the Marxist perspective on ecology. His seminal book Marx's Ecology (Monthly Review Press, 2000) discusses the place of ecological issues within the intellectual history of Marxism and on the philosophical foundations of a Marxist ecology, and has become a major point of reference in ecological debates. This historical and philosophical focus is now supplemented by more directly political engagement in his new book, Ecology against Capitalism. In a broad-ranging treatment of contemporary ecological politics, Foster deals with such issues as pollution, sustainable development, technological responses to environmental crisis, population growth, soil fertility, the preservation of ancient forests, and the "new economy" of the Internet age. Foster's introduction sets out the unifying themes of these essays enabling the reader to draw from them a consolidated approach to a rapidly-expanding field of debate which is of critical importance in our times. Within these debates on the politics of ecology, Foster's work develops an important and distinctive perspective. Where many of these debates assume a basic divergence of "red" and "green" issues, and are concerned with the exact terms of a trade-off between them, Foster argues that Marxismproperly understoodalready provides the framework within which ecological questions are best approached. This perspective is advanced here in accessible and concrete form, taking account of the major positions in contemporary ecological debate. 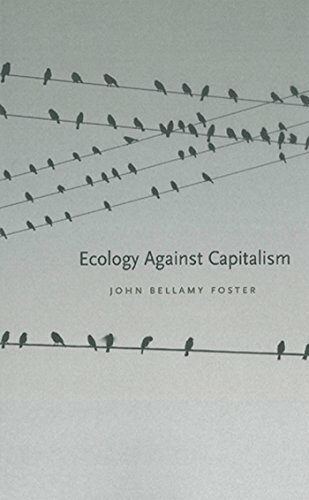 About: In recent years John Bellamy Foster has emerged as a leading theorist of the Marxist perspective on ecology.